"CHIPS New Blackfin microcontroller lowers cost and power"
Analog Devices has added to its lineup of Blackfin microcontrollers. The new lower-priced, lower-power units target voice-over-Internet Protocol (VoIP) telephones, mobile handheld devices, automotive- and industrial-controllers. "PODCAST: Week in Review, Oct. 24, 2008"
This week our top technology stories include how a new solar materal absorbs more of the Sun's rays, how mobile video-chat is enabled by WiMAX, how Google's Android gets improved security, how new chips can make cars safer, how to soup-up a car with 32-bit microcontroller and how to get warnings about upcoming road hazards. "CHIPS: Ziptronix unveils 3-D chip stacking technique"
Ziptronix (Research Triangle Park, N.C.) said the technology can be used for either wafer-to-wafer or chip-to-wafer stacking, further claiming that its 3-D bonding process is low-cost and provides high yields. 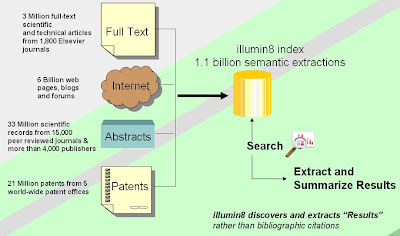 The details were revealed in U.S. Patent 7,387,944 (on low temperature covalent bonding) and U.S. Patent 6,962,835 (on the direct bond interconnect). 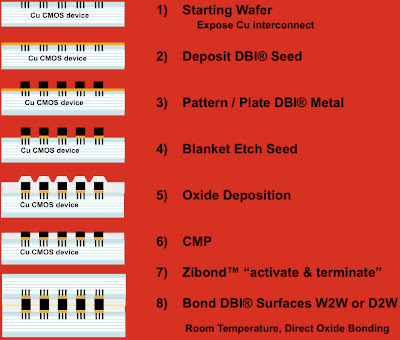 Based on through-silicon vias (TSVs), the company claims its low-temperature oxide bond provides a metal-to-metal contact for vias, without the high temperatures necessary when using thermal compression techniques. "CHIPS: ST, Nokia unit collaborate on car navigation system"
In-car systems that warn drivers of road hazards like taking a curve too fast have been developed in a collaborative agreement between STMicroelectronics and Nokia subsidiary Navteq. 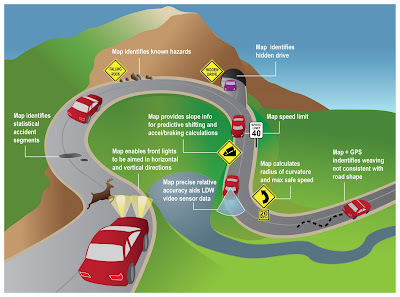 The hybrid system embeds GPS in automobiles with or without navigation map displays so that even low-end models can warn drivers of upcoming hazards. 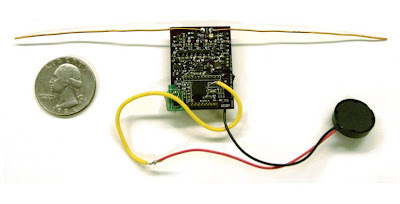 Navteq databases feeding ST's GPS-based chips compare a car's current speed to a safe speed for upcoming curves and either issue a verbal warnings, vibrate the steering wheel, flash a warning light or reduce speed. Similar warnings can be issued to adaptive cruise controls that prevent collisions with automobiles, reduce speed automatically on highway exit ramps, limit speeds in urban areas and warn of obscured traffic lights over upcoming hills. 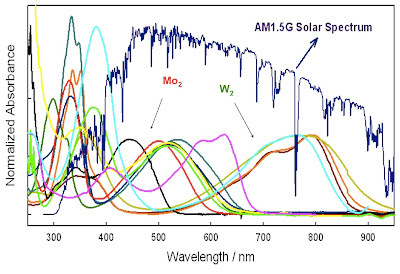 "ENERGY: Solar material absorbs entire spectrum"
Current solar materials must be chosen to match a specific wavelength of sunlight, but a new hybrid inorganic/organic material could usher in solar cells that absorb all solar wavelengths. The new polymer could also enable much more efficient charge separation since electrons dislodged by light in the material remain free much longer than in conventional solar cells. 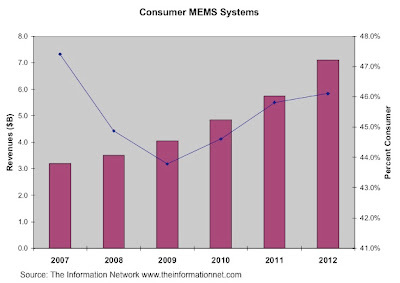 "MEMS: devices to feel impact of consumer slowdown"
MEMS device growth will experience an impact from the credit crisis, since consumer products make up more than 50 percent of the MEMS market, a new report from The Information Network predicts. Neverthess, The Global MEMS Device, Equipment, and Materials Markets: Forecasts and Strategies estimates that new applications for MEMS in industrial, automotive, and other fields will lead to a 25 percent growth in 2008 to just over 2.5 billion units. On a dollar basis, the market will grow 11 percent, to $7.8 billion. The consumer portion of the total dollar value will exceed $3.5 billion of that $7.8 billion, the study predicts. In 2012, consumer applications of MEMS will reach $7.1 billion, approximately 46 percent of a total market of $15.4 billion. "WIRELESS: Android gets security suite"
Google Inc. is now has a security software suite from Mocana Corp. available for its Android Mobile Platform. 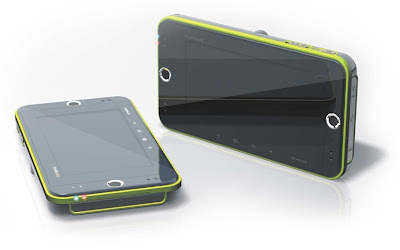 Designed for OEMs using Android specifications for the Open Handset Alliance, Mocana's software suite, called NanoPhone, builds security algorithms into Android smart phones. 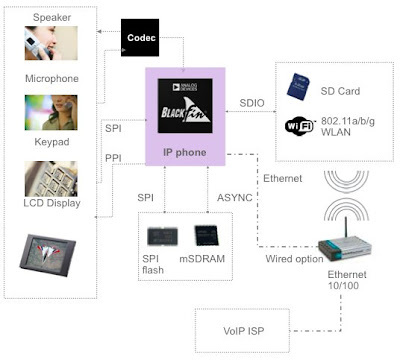 San Francisco-based Monaca said it aims to add Blackberry-like wireless security to the Android smart phone. "CHIPS: New chips up safety margins for drivers"
Convergence 2008 in Detroit featured the debut of smart image processing chips that could enable future cars to make decisions based on visual information for navigational tasks like collision avoidance, green energy functions like motion-activated dashboards and environment comfort like automatic window tinting. 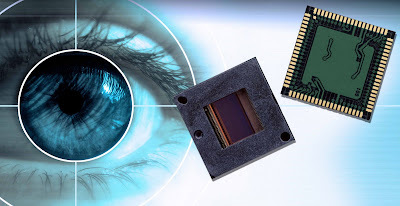 STMicroelectronics (Geneva) announced a smart CMOS image sensor that runs decision-making vision processing software from Mobileye (Amstelveen, Netherlands). 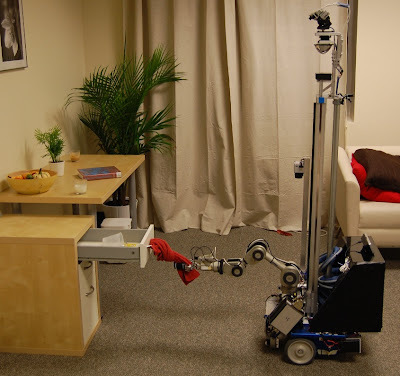 Separately, Elmos Semiconductor (Dortmund, Germany) showed an optical motion detection chip that can read hand gestures in 3-D and a sun-angle sensor that does not require an optical focusing mechanism. "CHIPS: Freescale rolls auto microcontrollers"
Souped up 32-bit microcontrollers for both sides of the automobile firewall debuted Monday (Oct. 20) at Convergence 2008 in Detroit. Lowering the cost of "green" engine control and infotainment was the goal of Freescale Semiconductor's new 32-bit microcontrollers. 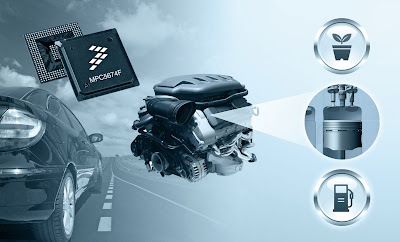 The MPC5674F Power Architecture targets precise engine control of engine needed to lower emissions while increasing mileage. Freescale claimed the device is 30 percent cheaper but 10 times faster than the devices it would replace. The i.MX35 multimedia processor family is said to lower the price of functions like map-based navigation and hands-free control of in-car audio. "WIRELESS: Mobile Internet devices adopt WiMax"
Mobile video chat will be available in South Korea next year with the rollout of a WiMax-based device from a Korean company that uses a chip set from San Diego-based NextWave Wireless. 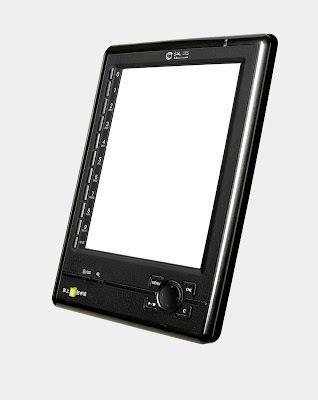 The M3 mobile Internet device developed by Digifriends (Seoul) will debut in the second half of 2009 using NextWave's NW2000 WiMax chip set. "PODCAST: Week in Review, Oct. 17, 2008"
This week my top stories include how electric fields can boost fuel economy by 20 percent, how green microgrids can pervent blackouts, how RFID tags are the first application of silicon ink, how a conductive adhesive could replace solder and how the Cassini space probe is hunting for life on a Saturn moon. 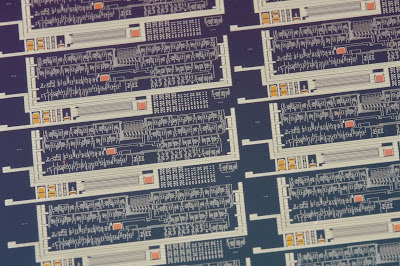 "MATERIALS: Silicon ink targets RFIDs"
Printing thin-film circuits on flexible substrates may be ready for prime time with the introduction Thursday (Oct. 16) of what is claimed as the first commercial application of silicon ink. Kovio Inc. (Milpitas, Calif.) rolled out its silicon ink printing scheme at the Electronic Product Code conference in Chicago. The initial application will be RFID tags, with future applications ranging from printable sensors and flexible displays. Kovio claims its process can reduce the cost of RFID tags using ink-jet printing by as much as 15 cents to between 5 to 10 cents each. High-volume roll-to-roll printing could further reduce costs to less than a penny. 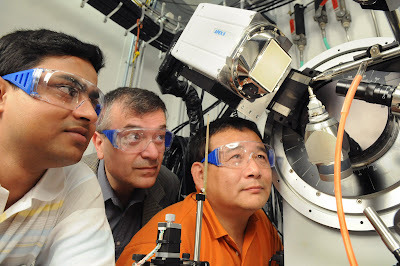 "ENERGY: Researchers propose flexible power microgrids""
Virginia Tech researchers want to return to Thomas Edison's concept of local power generation, operating alongside existing large-scale plants connected to transmission networks. Such power grid renovation has the potential to minimize the risk of future blackouts by managing a network of privately-owned microgrids that harness renewable energy, according to a four-year, $2 million study being conducted by Virginia Tech. 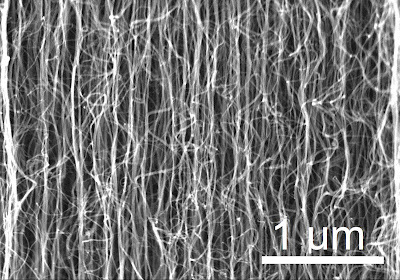 "MATERIALS: Conductive adhesive could replace solder"
Researchers have invented a nanotube-based dry adhesive that they propose using instead of solder to assemble components on circuit boards. The adhesive, which has very high electrical and thermal conductivity, models its sticking power on the foot of the gecko lizard. 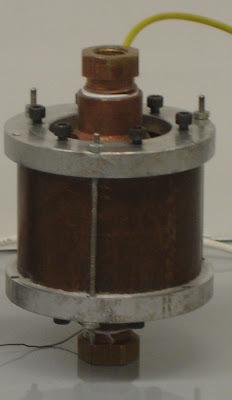 It works without heat or solvents, permitting use in the vacuum environments used to make chips and in space. 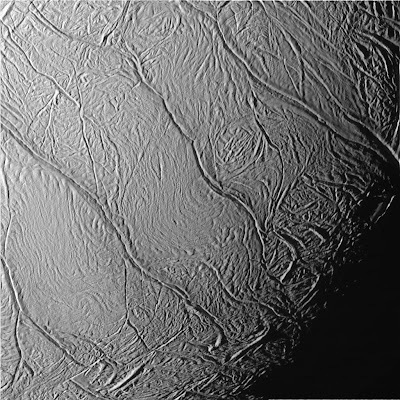 "SPACE: Cassini probe buzzes Saturn moon"
NASA's Cassini spacecraft orbiting Saturn made its closest fly-by of the moon Enceladus on Thursday (Oct. 9). Analyzing molecules being ejected from geysers on the moon's surface, Cassini will provide scientists with data on whether water is present on the satellite. "PODCAST: Week in Review, Oct. 10, 2008"
This week my top stories include how smart LED-lighting could gain integrated wireless access nodes, how a universal laser could supply all usable frequencies, how to make pacemakers hack-proof, how mechatronics design got simplified and how the DoD handed out a million dollar prize for a fuel-cell-based Wearable Power pack for soldiers. "ENERGY: Electric field boosts fuel economy"
Fuel economy could be boosted by as much as 20 percent by adding a small device that applies an electric field to fuel before it enters internal combustion engines. Researchers at Temple University (Philadelphia) who invented the device, recently completed six months of road testing with a diesel-powered Mercedes-Benz. The tests increased fuel efficiency from 32 to 38 MPG on highways (a 20 percent boost) and a 12 to 15 percent gain in city-driving mileage. The researchers claim the device could also be adapted to gasoline, biodiesel and kerosene. 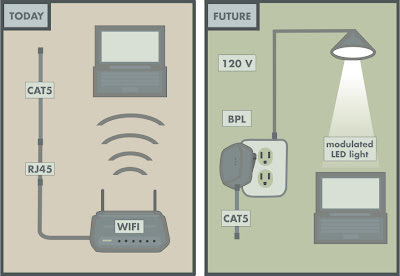 "OPTICS: U.S. 'smart lighting' effort targets LED-based wireless nets"
A "smart lighting" initiative being funded by the government seeks to piggyback wireless communications capabilities onto future LED lighting installations to provide more broadband access points. The $18.5 million, 10-year National Science Foundation program involves more than 30 university researchers from Boston University, Rensselaer Polytechnic Institute in New York and the University of New Mexico (Albuquerque). The initiative seeks to use visible light beams for communications between wireless devices and LED-based lighting fixtures. The LED-based scheme could also be used to communicate between automobiles that are increasingly using LEDs. The overall goal is to build new communications capbilities into all LED lights while alleviating congestion in current RF bands. 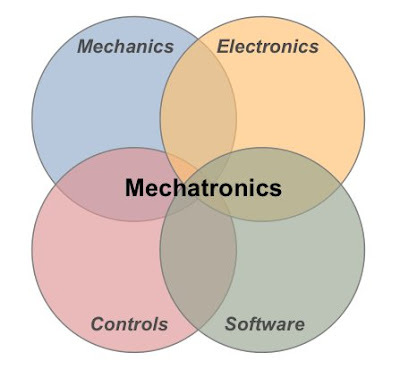 Simplifying the development of mechatronics, the combination of mechanical and electronincs engineering, is the goal of a new design language extension released Wednesday (Oct. 8) by Mathworks Inc.
Mathworks (Natick, Mass.) 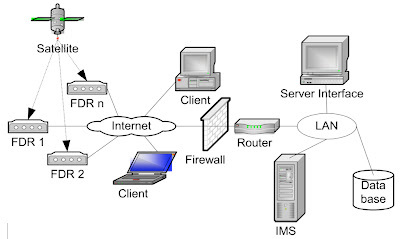 said its Simscape language extension will ease the modeling of an entire multidomain system--electrical, mechanical, control and software--using a single icon to represent the component in its Matlab simulation environment. 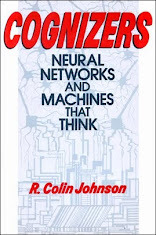 Matlab is a widely used tool for algorithm development. "ALGORITHMS: Researchers target hack-proof pacemakers"
Researchers are designing a prototype pacemaker that could prevent a hacker from sending the implant a potentially fatal signal. The secure implant could detect unwanted signals and notify patients of security breaches. To advance the work, the National Science Foundation has awarded researchers at the University of Massachusetts (Amherst) a three-year grant to perfect the design of their secure implant technology. 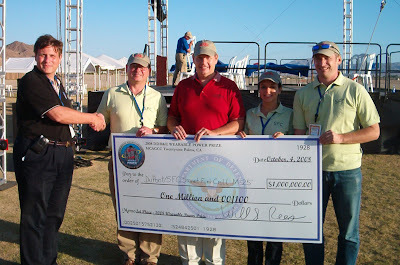 "ENERGY: Fuel cell takes $1 million DoD prize"
DuPont Fuel Cells and German partner Smart Fuel Cell (SFC) AG have grabbed a $1 million first prize in the Defense Department's Wearable Power Prize competition. DuPont (Wilmington, Del.) and SFC AG (Brunnthal, Germany) entered an advanced prototype of SFC's direct-methanol fuel cell (DMFC) called the M-25 Land Warrior Soldier Power Generator. Second place went to Adaptive Materials Inc. (Ann Arbor, Mich.) for a vest-mounted version of its Amie25, a solid-oxide fuel cell. Third place went to Capitol Connections LLC (Middleburg, Va.) for its DMFC based on SFC's commercial Jenny Portable Power System. All three used a hybrid approach, in which the fuel cell charged batteries, which in turn provided electrical power to devices. "PODCAST: Week in Review, Oct. 3, 2008"
This week my top stories include how trees can power remote sensor networks, how an underwater robot hovers like a helicopter, how a two-wheeled robot controls posture, how WiMAX chips are spanning all available bands, how an emulator aids wireless R&D and how quantum dots can pentrate the skin causing a possible health hazard. "OPTICS: material could enable universal laser"
A new optical fiber material could enable laser-based devices to be built operating at multiple frequencies. The new material--cesium zirconium phosphorus selenium (CsZrPSe6)--can add, subtract and double laser beam wavelengths, enabling devices with two laser sources to produce many usable wavelengths. "NANOTECH: Health warning: quantum dots can penetrate skin"
Semiconducting nanoparticles known as quantum dots can penetrate the skin with unknown health effects, according to researchers at the University of Rochester Medical Center. 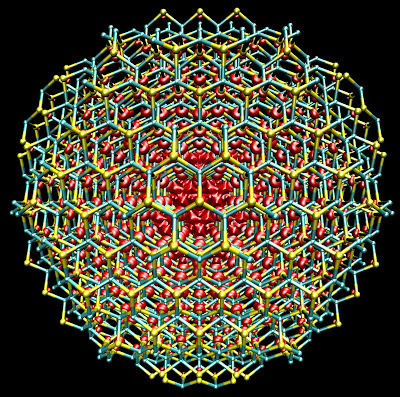 The New York state researchers warned that engineering personnel handling materials based on quantum dots should take extra care to avoid physical contact with what they called potential "biohazards."